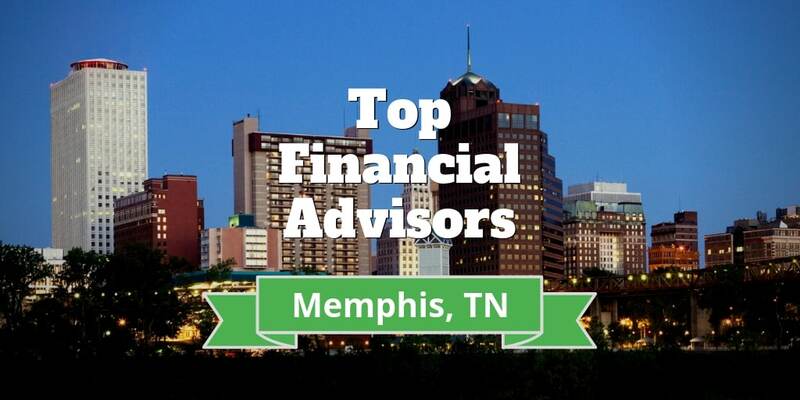 In this review, we discuss ten of the best financial advisors in Memphis, Tennessee. 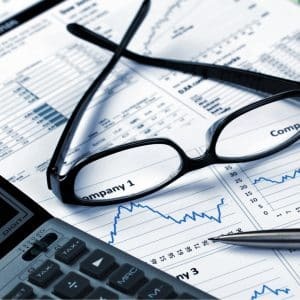 We understand your plight to find the best financial advisor in Memphis, so we gathered key facts, figures, and information about the top wealth managers in the city to save you the hassle. How Your Money Is Invested? Is Kelman Lazarov Right For You? Is Brandon Financial Planning Right For You? Is Private Wealth Management Right For You? Founded in 2005, Telarray is a fee-based firm managing over $800 million. It employs nine financial advisors who collectively manage accounts for 600+ investors. An investment minimum of $500,000 is required to open an account. Telarray financial advisors use asset allocation strategies to manage portfolios. The client onboarding process begins by giving an advisor details about your financial situation. An advisor will ask how well you tolerate investment risk and whether your portfolio should include cash holdings. He will also inquire about your financial goals. The firm philosophy is to advocate against stock market timing. Investors who attempt to time the market rarely achieve successful results, according to Telarray. In view of this conservative approach, financial advisors help you to create an investment portfolio with a strong emphasis on long-term holdings. To further diversify your holdings, global holdings may be selected. Your portfolio may be invested in mutual funds and ETFs also. More aggressive investments are shunned, so do not expect to hold property or futures investments. John Paessler and Michael Shaul own both Telarray and FSG as partners with the McGehee family. Mr. Paessler is a Certified Public Accountant (CPA) and a Personal Finance Specialist (PFS). He also has a Series 65 Securities license. Michael Shaul is both a CPA and a PFS. Legacy Wealth Management manages around $1.25 billion in assets and employs 17 financial advisors. Over 800 investment accounts are managed and to join them you’ll need to have a minimum of $500,000. The firm’s advisors are not compensated by selling products in order to avoid conflicts of interest. If you want international investment exposure, Legacy may be right for you. Legacy Wealth Management employs 13 Certified Financial Planners (CFPs) and nine individuals with Master of Business Administration (MBA) degrees. Managing nearly $3 billion, Green Square Capital is a fee-based firm. Although the firm does not have a minimum requirement to open an account, most of its clients are high net-worth individuals with at least $1.5 million in assets. If you qualify as a wealth advisory client, you can take advantage of year-end tax reporting services and portfolio rebalancing, as well as full online access to its portal. Green Square Capital specializes in helping family office clients with complicated financial requirements. You qualify for institutional asset management services if you own a business or nonprofit organization. Darrell Horn and Steven Samson established the firm in 2001 as an independent boutique wealth management company. Darrell has more than 25 years of experience in the financial field. Steven, the Senior Managing Director, is a member of the firm’s investment and executive committees. Although Green Square Capital employs a Chartered Financial Analyst (CFA), two Certified Public Accountants (CPAs) and several Series 65 Financial Investment Advisors, the firm employs no Certified Financial Planners (CFPs). Established in 2001 by John & Susan Huffman and Lon Magness, Reliant Investment Management serves public clients, institutional clients, and private clients. The firm manages accounts (and pension plans) for high-net-worth individuals as well as for government entities, businesses and charities. The fee-only advisory firm’s employees do not earn commissions for sales. You need to have a minimum of $500,000 to open an account. Public Client Services include management of securities as well as customized accounting and reporting, board oversight, portfolio and cash flow projections. Institutional Client Services include discretionary and transitional portfolio management, retirement plan advisory services, portfolio consulting services, and administrative services. Private Client Services include financial and estate planning, discretionary portfolio management, retirement plan advisory services, and administrative services, such as consolidated record keeping and performance measurement. This advisor firm uses several methods to analyze securities, including technical analysis and fundamental analysis. Advisors also factor in overall economic conditions. If you are an account holder at Reliant Investment Management, plan on holding a range of securities, including stocks, bonds, mutual funds and ETFs. Your portfolio may also include option contracts, debt securities and futures contracts. This firm employs six financial advisors, including two Certified Financial Planners (CFPs) and two Chartered Financial Advisors (CFAs). Established in 1986, Waddell & Associates has a strong historical background with its headquarters located in East Memphis. It is a fee-only firm that manages $800+ million in assets. You must have at least $500,000 to open an account. The company does not pay advisors commissions, so you won’t pay fees when you buy products. Focus Financial Partners owns Waddell & Associates. As a Limited Liability Company (LLC), Focus Financial Partners also owns several advisor firms, brokerage firms and insurance agencies. Model portfolios feature different template portfolios designed to match a client’s specific financial requirements. In other words, your Waddell & Associates team does not create customized portfolios from scratch. Your portfolio may include no-load mutual funds, ETFs, stocks, bonds, Certificates of Deposit (CDs) and money market funds. If you do not meet the company’s minimum $500,000 requirement to open an account, you may want to take advantage of its robo-advisor platform called W&Ai, which comes with a $5,000 investment minimum. This platform is based on Schwab Intelligent Portfolios. Investments are traded and rebalanced according to computer algorithms. If robo-advisors appeal to you, check out Betterment, an industry leader in digital money management. David Waddell is the founder, Chief Executive Officer (CEO) and President, and Certified Financial Planner (CFP). He earned his Master of Business Administration degree at Babson College. Prior to founding Waddell & Associates, Mr. Waddell worked at Charles Schwab Corporation. Perry Green is the Senior Vice President at Waddell & Associates. Boasting experience as a tax professional employed at Ernst & Young, Mr. Green is also a Certified Public Accountant (CPA), a Certified Financial Planner (CFP) and a Chartered Financial Analyst (CFA). The firm also employs nine advisors and manages approximately 900 accounts – more than any of the other advisory firms on our list. Established in 1991, Summit Asset Management provides investment management services and financial planning services. Summit Asset Management is a fee-only firm so its advisors do not receive commissions for sales. It has more than $500+ million in assets under management and manages approximately 450 investment accounts. You need to have $500,000 to open an account. New clients are introduced to investing via a multi-step process. 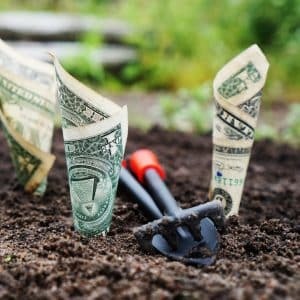 Understanding your personal financial goals and motivations for investing. This step includes your tolerance for risk, your income tax bracket, your earned income amount and your time horizon. You will have an advisor who creates an investment portfolio designed to meet your needs. Collaboration: An investment committee featuring several advisors provides services to you as a valued client. Creation and continuity: Your advisor develops a portfolio that includes stocks, bonds, mutual funds and ETFs. The firm’s primary owner is Samuel Thompson. He is also the firm’s Principal Financial Advisor, Chief Compliance Officer (CCO) and Chairman. Previously, he was employed at The Equitable, a life insurance agency. He is certified as a Chartered Life Underwriter (CLU) and a Chartered Financial Consultant (ChFC). The firm’s remaining shares are owned by John Laughlin and Lance Hollingsworth. Mr. Hollingsworth also holds a position as the Senior Vice President of Trading and Operations. He is also a Certified Financial Planner (CFP). Mr. Laughlin has worked for Summit Asset Management since 2001 and is a Certified Financial Planner (CFP). The firm also employs two additional Certified Financial Planners (CFPs). Managing over $400 million in AUM, Kelman Lazarov is a fee-based firm. Employees may be compensated via commissions, so you may receive solicitations to purchase insurance policies if you open an account. You do not need to have a minimum amount of money to open an account. Most of the firm’s clients are not high-net-worth individuals. The firm provides financial planning services and investment management advice. If you are interested in opening an Individual Retirement Account (IRA), Kelman Lazarov offers retirement planning services too. The firm’s advisors aim to help you make careful decisions for your future by ensuring you have an understanding about your financial situation. If you open an account at Kelman Lazarov, you will receive personal advice about how to manage your finances. The firm employs five insurance agents along with 11 financial advisors. Ron Lazarov and Marty Kelman own the firm. Ron Lazarov is the firm’s President. Marty Kelman is the firm’s Chairman. Both men have been employed in the financial field for more than four decades. Mr. Lazarov and Mr. Kelman are Certified Financial Planners (CFPs). Mr. Kelman is also a Certified Retirement Counselor (CRC). You will pay a lower fee if you have a Traditional Asset Management Program account. However, you will need to pay a fee for each transaction, including a brokerage commission, a clearance fee and a settlement service fee. If you have a Wrap Fee Program account, you will pay a higher annual fee. However, you will not need to pay fees for any of your transactions. You need to have a minimum of $200,000 to establish a Wrap Fee Program account. Even though Red Door Wealth Management does not require investors to have specific assets in order to establish accounts, the firm does have high net-worth individuals as clients. This advisor firm analyzes securities via a distinct blend consisting of fundamental analysis, modern portfolio theory and technical analysis. Advisors use asset allocation strategies to maximize returns. The goal is to create diversified investment portfolios that include stocks, bonds, mutual funds, ETFs, government securities and Real Estate Investment Trusts (REITs). Advisors also recommend that clients invest some holdings in money market funds and CDs. This firm has a long history offering financial planning services since 1980. Brandon Financial Planning is a fee-based firm. Managing assets of over $276 million, the firm’s advisors handle more than 200 investment accounts. This firm does not have a minimum requirement to open an account. However, it does enforce a $3,000 minimum fee. Even though Brandon Financial Planning has existed for many years, it remains comparatively small, employing just three financial advisors. The Denby Brandon brothers co-own Brandon Financial Planning. Both brothers have Certified Financial Planning (CFP) backgrounds. In addition, Raymond Brandon is a Chartered Financial Analyst (CFA), a Chartered Financial Consultant (ChFC) and a Chartered Life Underwriter (CLU). Gary Kieffner, an additional financial advisor, is a Certified Financial Planner (CFP). Serving clients for several generations, Brandon Financial Planning emphasizes personalized service and compassion. At Private Wealth Management, Inc., you need to invest a minimum of $1 million to open an account and caters exclusively to high net worth individuals. It is a fee-only firm that manages $600 million in assets. The firm has a handful of investors who are not high net-worth individuals. It also manages assets for a few charitable organizations. However, the majority of investors consists of high net-worth individuals. Advisors look for mutual funds and ETFs that complement investors’ personal goals and risk tolerance levels. The firm sometimes hires independent money managers who advise clients about different aspects of their investment portfolios. It researches each manager’s employment record and relationship with risk tolerance along with the manager’s philosophy on investments and seeks to match an independent money manager with your personal needs. Founded by its current owners, Joseph Horner and Scott Robbins, Private Wealth Management, Inc. offers financial planning services and tax preparation services. In addition, the firm offers investment management services. Mr. Robbins is a Certified Financial Planner (CFP). Mr. Robbins and Mr. Horner both have law degrees. To select the right advisor for you, start by understanding your own financial situation. Check out one of these budgeting apps if you want to easily track your net worth and expenses. Enquire about the minimum deposit needed to invest as well as the firm’s basic philosophy. Choose an advisor firm that matches your own views on investing. 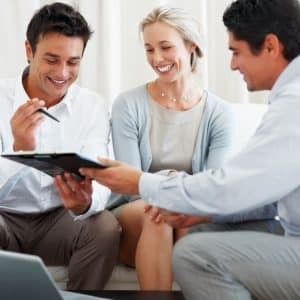 Our list of the best financial advisors in Memphis, Tennessee, gives you detailed information to help you make the right decision. Investing your assets with an excellent advisor firm is an important decision. Consequently, we believe you should invest your assets for the right reasons. Think about your financial goals. You may want to establish an Individual Retirement Account (IRA) for your future. 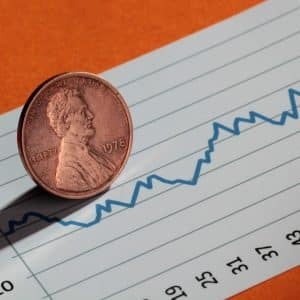 Perhaps you wish to create an investment portfolio that withstands the stock market’s volatile nature while also providing you with a steady income. Although we have compiled a comprehensive list, you may still have doubts about which advisor to choose. If so, feel free to meet with several advisors before making your final decision. We studied the best financial advisors in Memphis and checked with the U.S. Securities and Exchange Commission (SEC) for verification purposes. We only included advisor firms registered with the SEC because these advisors have fiduciary obligations to act in their clients’ best interest. We did not include advisor firms with previous disciplinary issues or disclosures. Furthermore, we avoided including firms that do not manage financial accounts for individuals.